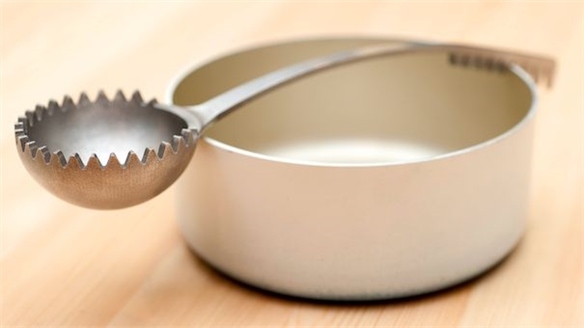 To satisfy global consumer demand for protein (where demand increasingly outstrips supply), there is an urgent need to develop alternative sources. 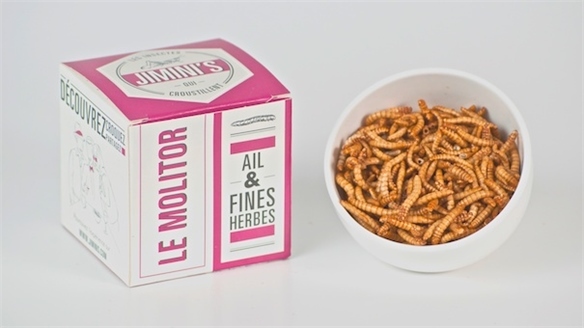 In response, insects are being cultivated as a nutritious and filling protein supplement. 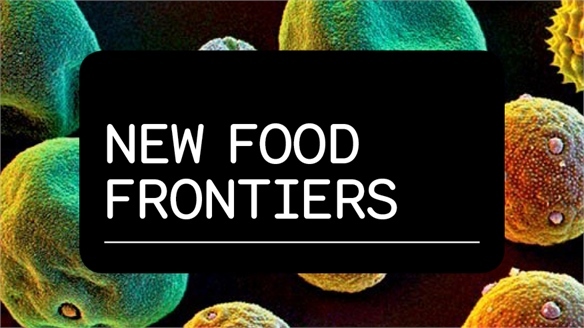 Development in this domain is forging ahead, with innovative insect farms and food companies crafting insect-based products that challenge expectations, and align with current food trends. Next Millennium Farms in Canada has recently started producing gluten-free crickets, which are fed rice and corn instead of wheat. 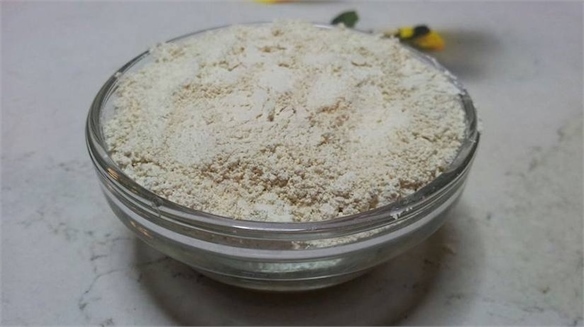 The company also produces an organic cricket flour that is approved by the CFIA (Canadian Food Inspection Agency), and is also researching how to optimise crickets for Paleo diets. 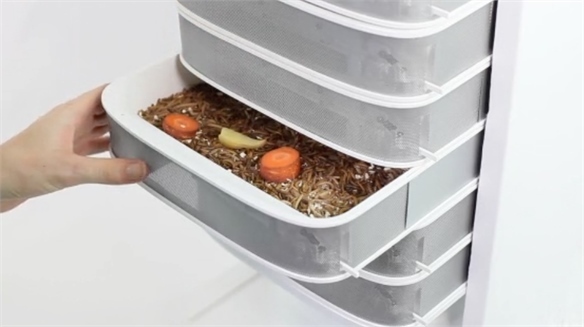 Meanwhile, Ohio-based Big Cricket Farms is the first in America to raise crickets exclusively for human consumption, as covered in Future Farming. 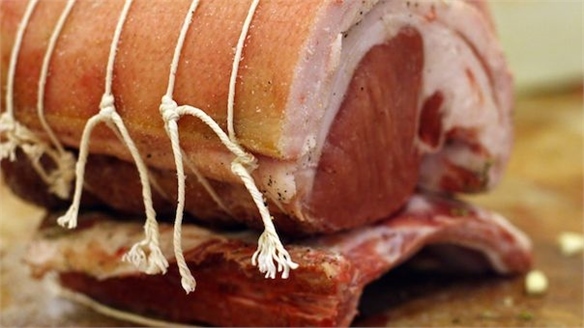 The farm manipulates the livestock's diets to infuse the insects with new flavours. For example, by consuming carrots, they take on a faint carrot flavour. Aiming to elevate insect flavours through the production process, San Francisco baked goods company Bitty uses slow-roasted crickets for a toasted, nutty flavour. The insects are then milled into fine flour. 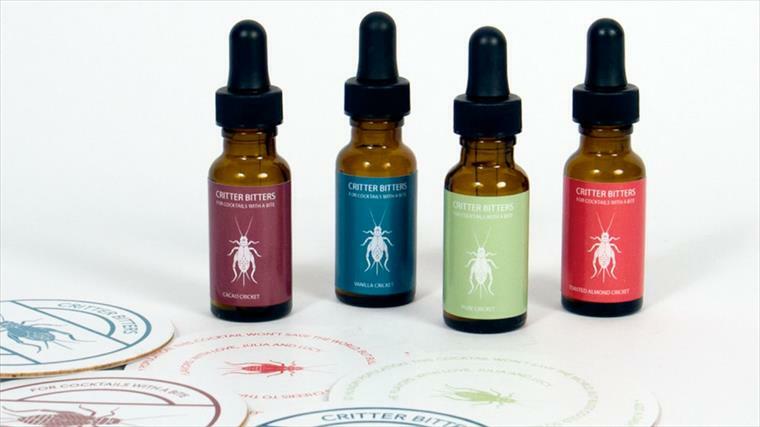 Similarly, Critter Bitters – a project by New York's School of Visual Arts – was a line of cocktail bitters made with toasted crickets. 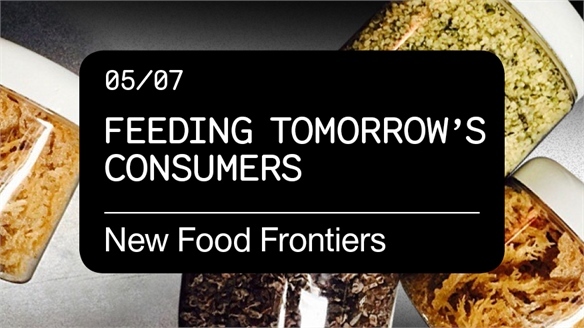 For more on this subject, see Branding Insect Crisps, Food Vision 2014 and New Edible Ideals. In addition, US airline JetBlue will begin selling selection boxes from NY-based snack box company AccelFoods on flights early next year. 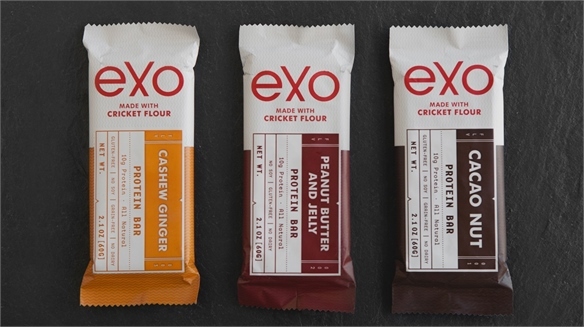 Filled with independently produced food products, they are likely to include Exo protein bars (explored in Insect Protein Bars), which are made with ground cricket flour – again emphasising insects' viability as a commercial food ingredient. For more on flexible food options on-board, look out for In-Transit Innovation, publishing as part of the Future Service Industry Trend later this month. Next-Gen Ingredient: Fruit Fly Flour Next-Gen Insect Flour Flour and oils made from fruit flies could represent the future of insect-based nutrition, according to Israeli start-up Flying Spark. New Food Innovations & Ingredients New Food Innovations & Ingredients Bitten LA teased out the emergence of abstract flavours, the commercial viability of culinary cannabis and the seductive allure of social food experiences, as well as need-to-know product innovations. 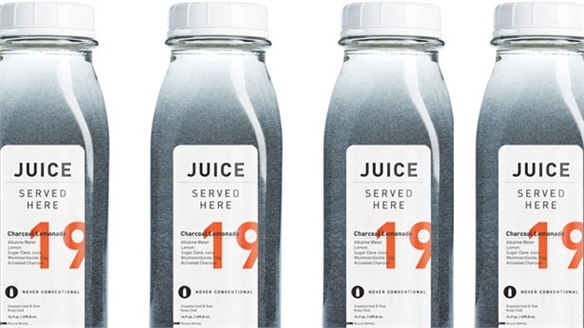 Rise of the Sustainable Supermarket Rise of the Sustainable Supermarket Smart retailers are revamping outdated product lines, debuting standalone sustainable flagships, and investing in groundbreaking green technology to reinvent themselves as ethical trailblazers. 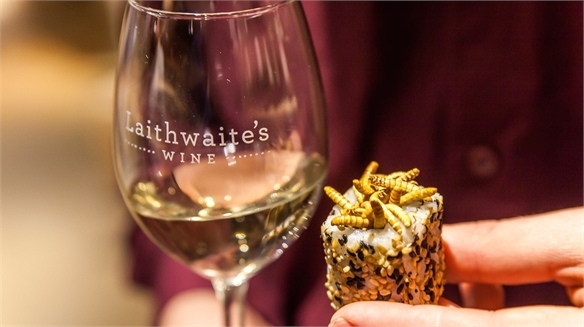 Wine & Insect Pairing Menu Wine & Insect Pairing Menu In response to a growing consumer desire for edible insects, British wine merchant Laithwaite's has developed the world's first insect and wine pairing guide. 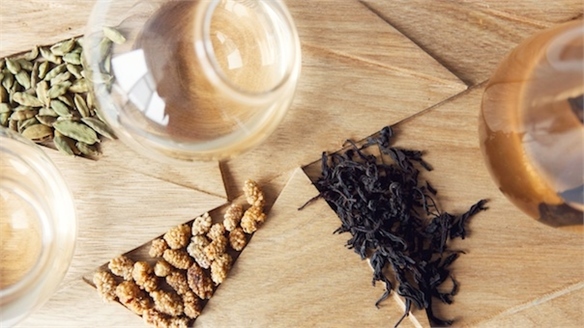 Designed for more adventurous palates, pairings include Zebra Tarantula spider with full-bodied Chardonnay, Queen Weaver Ants with aromatic white wine, and Asian Forest Scorpions with Transylvanian Pinot Noir. 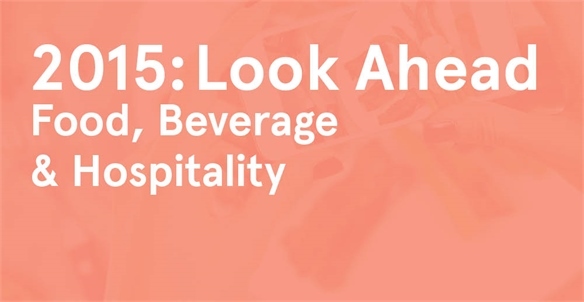 2015: Look Ahead - Food, Beverage & Hospitality 2015: Food, Beverage & Hospitality Shrinking global food resources, widespread consumer interest in health, and technology's influence on our dietary habits will continue to shape the food and beverage industry in 2015. Meanwhile, in hospitality, service will evolve beyond its traditional roots thanks to digital developments and custom-fit culture. We recently explored these ideas in our Future Service Industry Trend, and will be tracking their commercial evolution over the coming year. 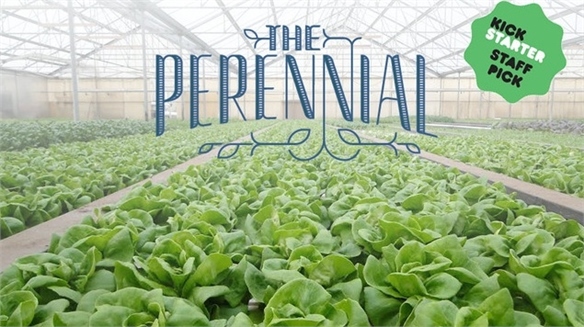 Closed-Loop Aquaponic Restaurant Closed-Loop Aquaponic Restaurant Taking the sustainable restaurant trend up a gear, San Francisco-based restaurant The Perennial will feature an entirely closed-loop symbiotic system in its garden, where plants and fish will be raised together to facilitate a naturally sustainable ecosystem. SIAL 2014 SIAL 2014 Bringing together 6,500 international exhibitors and more than 150,000 visitors, France's premier food and beverage trade show delivered a plethora of product innovation. 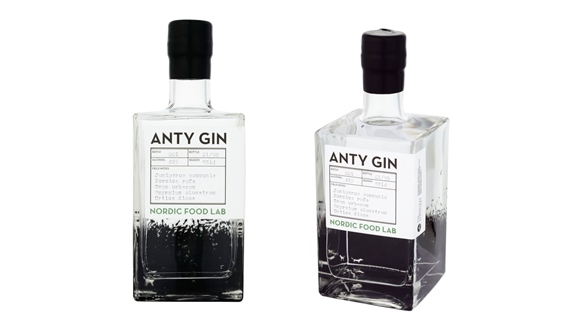 From gourmet insects and edible packaging to double-dose superfoods and umami-style beverages, we spotlight key industry directions from the event. 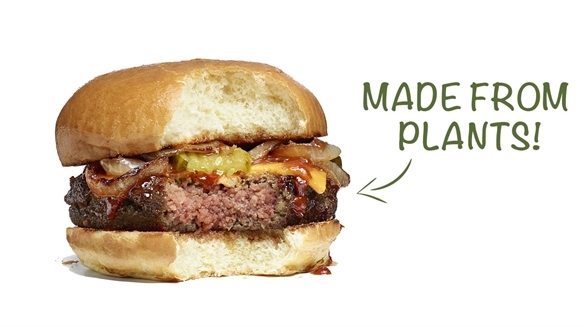 Meat-Free Future Products Meat-Free Future Products As vegetarianism becomes increasingly common in Western markets (one in eight UK consumers consider themselves vegetarian, according to global research firm Mintel), innovative start-ups are creating meat-free alternatives. 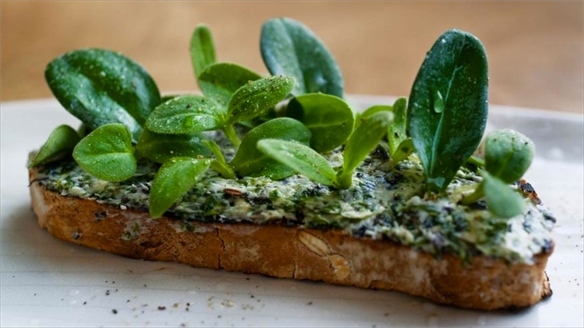 Forgotten Foods Forgotten Foods Inspired by ancient ingredients and traditional production processes, innovative restaurateurs, retailers and product developers are looking back to move forward. 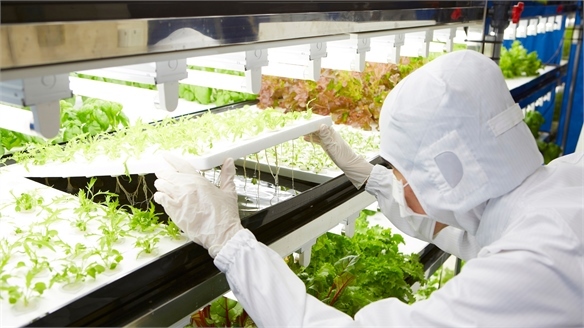 Future Farming Future Farming From insect cultivation and 'plantscrapers', to space farming and remote-controlled herb hubs, Stylus explores the new frontiers of futuristic food production. 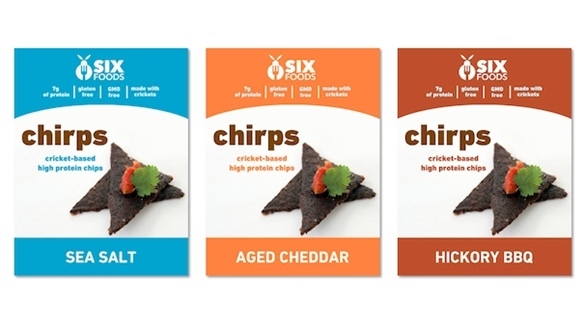 Branding Insect Crisps Branding Insect Crisps US food start-up Six Foods has developed a brand of crisps called Chirps, which uses beans, rice and cricket flour (made from crushed crickets) in its ingredient mix. 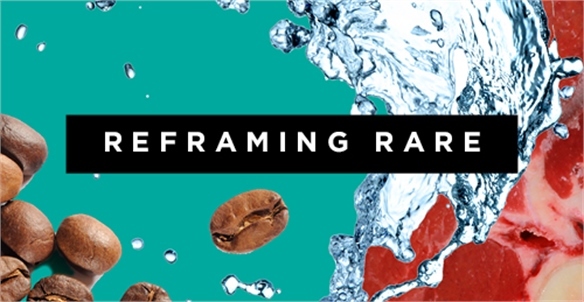 Sustainable Dining Sustainable Dining From carbon-offset meals and geo-tagged coffee beans, to upcycled wine corks and laser-labelled foodstuffs, sustainability is now top of the restaurant industry's agenda. Food Vision 2014 Food Vision 2014 The second Food Vision event took place in Cannes from March 31 to April 2, bringing together visionary thinkers in food and drink development. 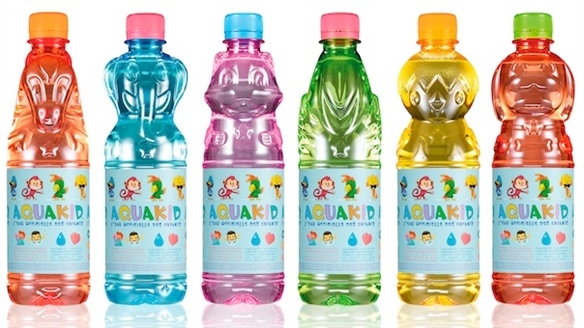 The agenda included global food security, futuristic product development, and food science. 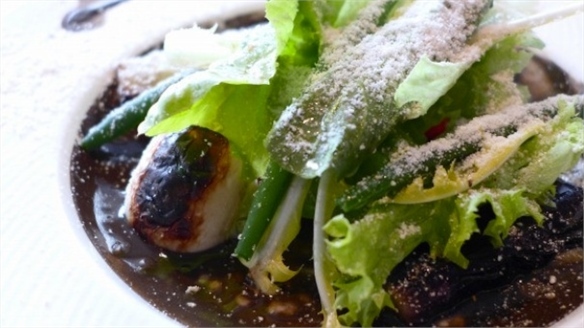 Tokyo Restaurant Launches Dirt Menu Restaurant's Dirt Menu Adding to its French-inspired menu, high-end Tokyo restaurant Ne Quittez Pas has introduced a range of dishes that feature dirt as the key ingredient. 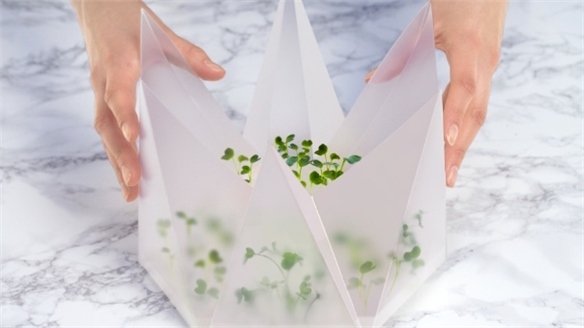 RCA: New Edible Ideals New Edible Ideals The hotly anticipated summer show at London’s Royal College of Art is the ideal place to glean inspiration from design industry newcomers. 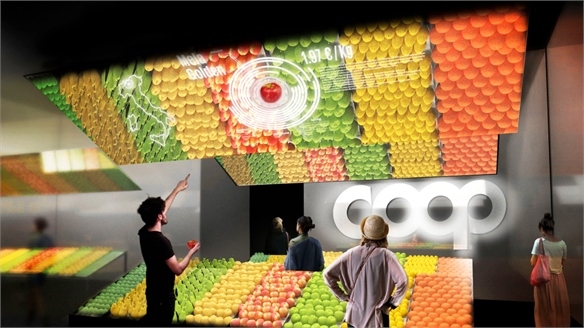 This year, the topic of food – and its enormous potential for creative intervention – proved a popular catalyst among graduates. Stylus highlights the key projects. 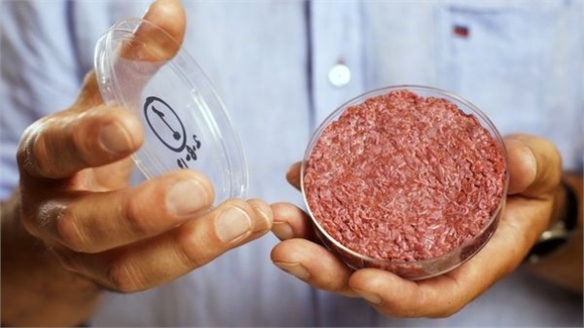 Meat: The Future Meat: The Future Animal feed and the quality of livestock living conditions are being reduced to remain globally competitive, while rising fuel costs have led to the ban of oil-based fertilisers for organic production. 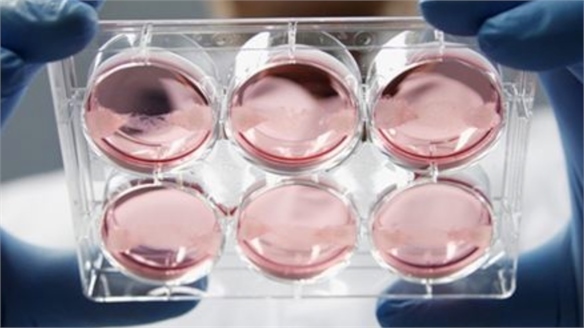 In the face of such challenging times for animal-rearing, food futurologist Dr Morgaine Gaye looks at the future of meat, the possible alternatives, and how technology and fashion will play a part in dinner for carnivores. Meet the New Meat Meet the New Meat Intelligence² – the global forum for live debate covering the cultural issues of today – made its inaugural foray into the future with the If Conference. The two-day symposium, held in London saw a host of leading scientists, architects and futurologists present a series of concepts surrounding the ideas, thrills and potential hazards of tomorrow. Stylus investigates the environmental implications of the meat-eating modern gourmand and the possible alternatives.